"It's now time to end the first chapter of the TrueDream adventure. 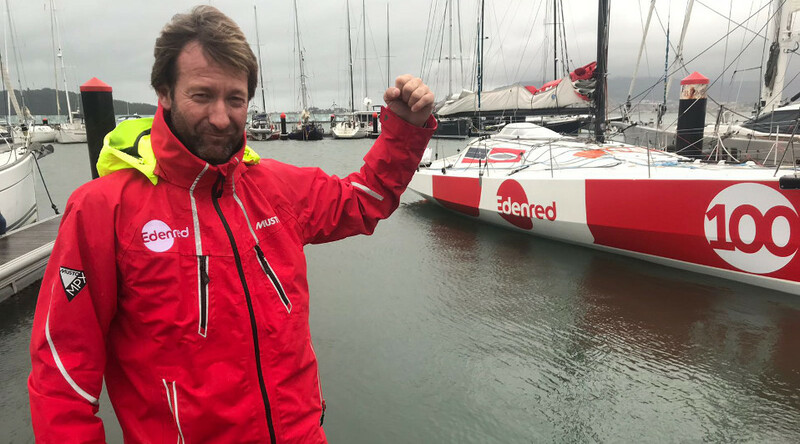 This year 2018 will remain a very special one in my career: thanks to Edenred, I fulfilled the lifelong dream of participing in my first single-handed transatlantic race. Now, after carrying out all the needed repains on my faithful Edenred Class40, it's time to think about tomorrow's challenges. A few memories in video, and a sneak preview of what's happening in 2019. 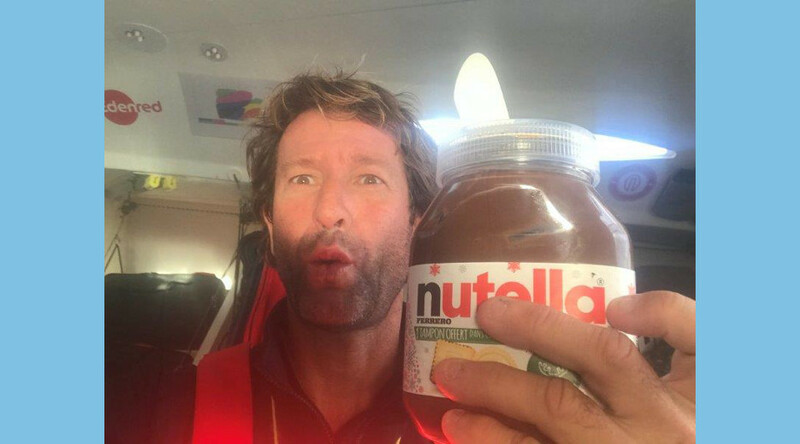 See you soon, and don't hesitate to browse through my logbook to relive the highlights of this 2018 Route du Rhum!" "It feels strange to be back in France! I took the opportunity to record a short video message (press to play!) for all those who followed me at Edenred during this adventure. I feel immensely grateful for all the support and all the messages I got during the race, and I still receive these days. It fills me with energy and makes me want to live the dream a little longer, once the boat is repaired. So let's stay in touch!" "I finally reached dry land in Madeira yesterday morning. After trying as best as I could to repair the boat, I eventually decided to withdraw from the race, because I could no longer sail safe. I would like to thank all those who followed me from near and from afar during this adventure. Their messages boosted my morale, brought me comfort or simply made me smile when the conditions were really tough. It's not the end of an adventure, it's the beginning of the next one!" 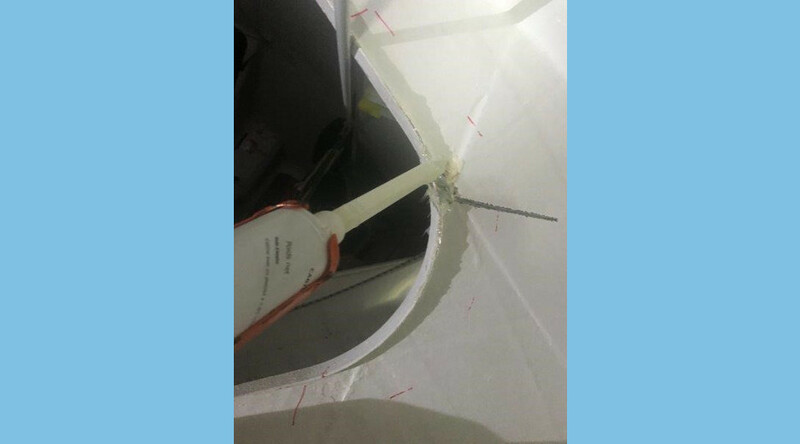 "I managed to stop the boat last night after getting out of the zone where the waves were the strongest, and proceeded to secure the mast bulkhead, using parts of the floorboard I glued and screwed on either side of the mast. 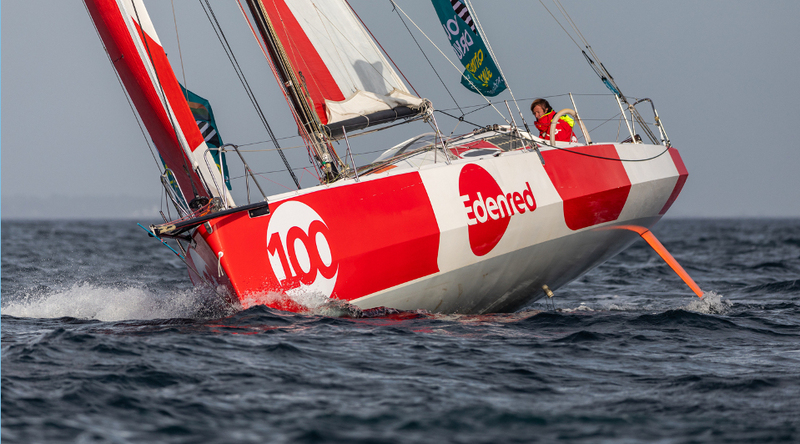 It wasn’t such an easy operation with waves still 4-meter high but the motivation to secure the Edenred Class40 was great. Now at least I can head to Madeira without the risk of the mast falling on my head! I thank everyone of you for your cheer up messages, which fuel me with a lot of energy." "A quick update after passing through the most boat-breaking depression since the start, with 8 to 9-meter high waves. Late in the day Friday, the boat jumped on a huge wave and violently fell back. I rapidly realized that the boat took damage, with notably cracks at both ends of the bulkhead supporting the mast. With both my autopilots now out of order, I must stay at the helm and divert to Madeira, in order to secure the boat. I’m unscathed and keep my spirits up..."
"Can you believe it? 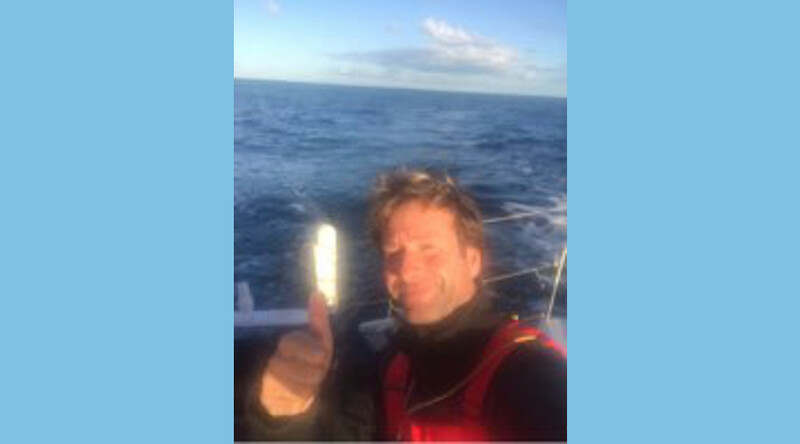 5th depression in a row on this Route du Rhum race… A fair share of my time was spent changing the sails, and I get to use the complete set! The Edenred Class40 is turning into an exercise room, with the most beautiful view in the world. We are about to encounter harsher conditions tonight, which I will try to pass without any damage, in order to meet the trade winds unscathed. There is still room for comfort, too, with a quiet meal of boiled-in-the-bag salmon. Oh, and for those of you who asked: here’s a picture that proves I did not forget my dose of sweet in my package!" "Beautiful day yesterday, with a lot of nautical miles added to my count. I successfully maneuvered the boat to take advantage of winds up to 45 knots (more than 80 km/h), and with a boat speed rising up to 22 knots at some point, I almost feel luck they haven’t installed speed radars in the Atlantic! Outside on the deck, the waves seem out of a fire hose and inside, you’ve got to hang on and try to move as less as possible because it shakes!" 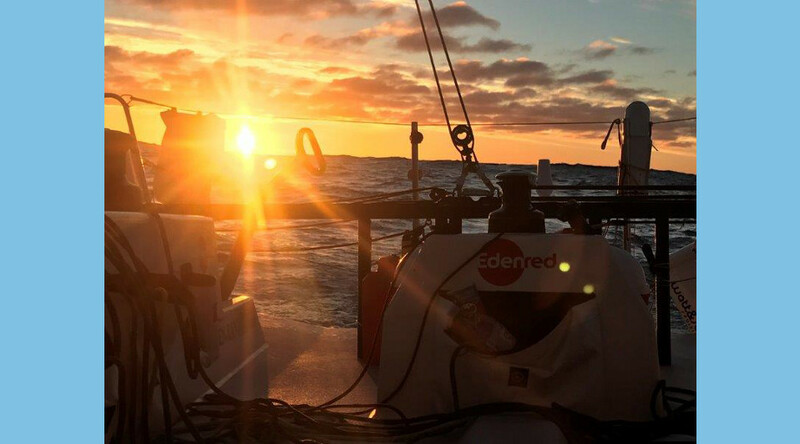 A view of a magnificent sunrise onboard the Edenred, on which I spent the day at the helm because of an unstable wind (in force and direction), to say nothing of the swell. I wanted to pass through this front as quickly as possible, to avoid getting stuck for too long. 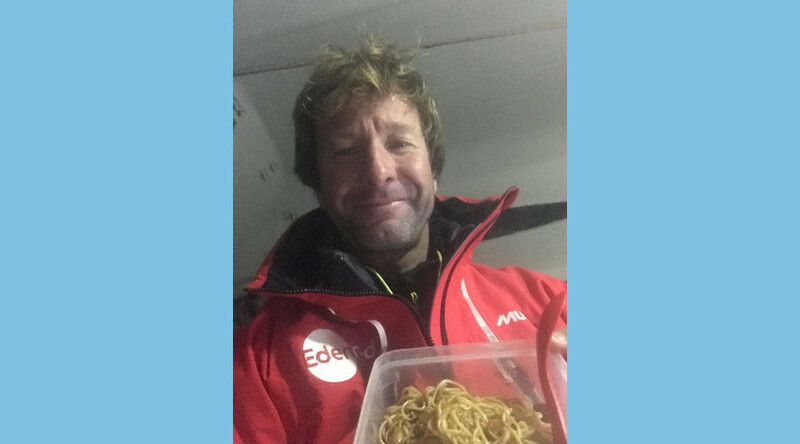 Ups and downs of life onboard: I had decided to improve my daily meal with a delicious plate of fresh pasta. 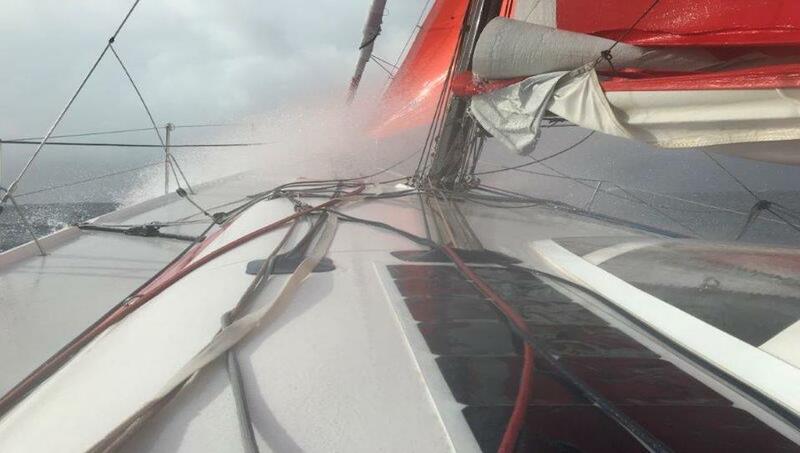 As I was about to drain them outside the boat (to keep the Class40 clean! ), I inconveniently dropped the content of my plate directly into the ocean. I only hope the fish enjoyed such a well-deserved treat! "You could truly say that every day is different! I spent most of yesterday struggling to sail Edenred forward with almost no wind, and swell limiting my speed. The reward came late in the afternoon with downwind conditions finally propelling me in the right direction. Morale is definitely high and I’m now striving to get back up with the pals ahead!" "All is well! 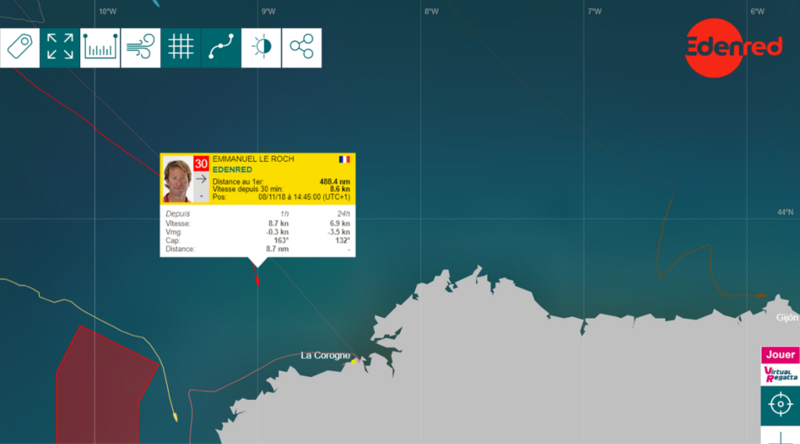 I'm currently sailing off the Portuguese coast, in 25th position, with a 100%-functional boat. Already 8 days since the start, and I'm sure the best is yet to come!" "I'm officially back in the race since 10 PM last night! I must thank all my team and collaborators on land for their dedication and support. All is set on the Edenred Class40, and I was able to rest a bit myself. Pointe-à-Pitre, here I come!" "I cast anchor in Baiona this morning. The aim is now to carry out the repairs of the boat efficiently and to rest a bit after the last few trying days. During this stop, I will therefore have as few contacts as possible with the outside in order to remain focused on the race, and to set sail as soon as I can. All hands on deck!" "I will eventually make my technical stop in Baiona (near Vigo), in Galicia. The location seems more strategic and it's also more practical to carry out the repairs, as the boat took some damage: there is a sailmaker located there who will take care of one of my sails, which was torn. 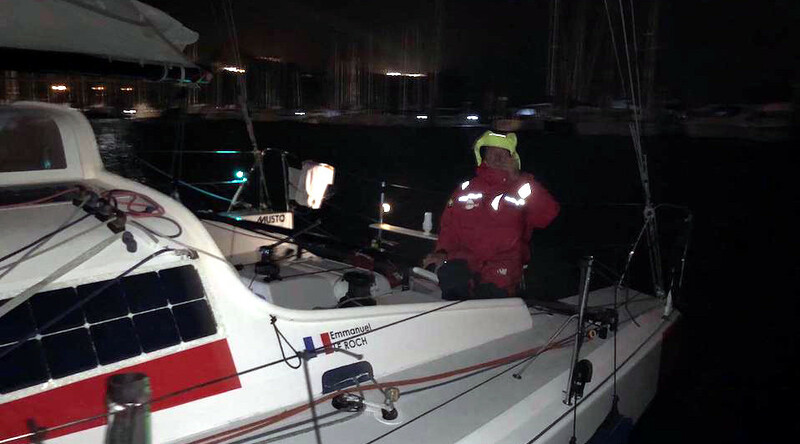 My collaborator Gonzague, who prepared the boat in Trinité-sur-Mer, is also present there and will be able to undertake a full checking of the boat, before I can get back on track!" "Another trying night onboard! Harsh conditions, with a turbulent sea, 5 to 6-meter high waves breaking over the deck and a few technical issues, such as the breakdown of the support of my autopilot engine (I have a spare one, luckily). I still manage to eat and sleep as much as possible and I'm weathering the storm, moving up one place in the ranking (23th)!" Edit at 1 PM: "Having regard to the latest weather updates, I reckon that the danger level is too high for Friday, with a wind speed of 55-60 knots and a rough sea. I decide to make a stop in A Coruña in Spain to preserve my boat, as it will be too late to divert afterwards." 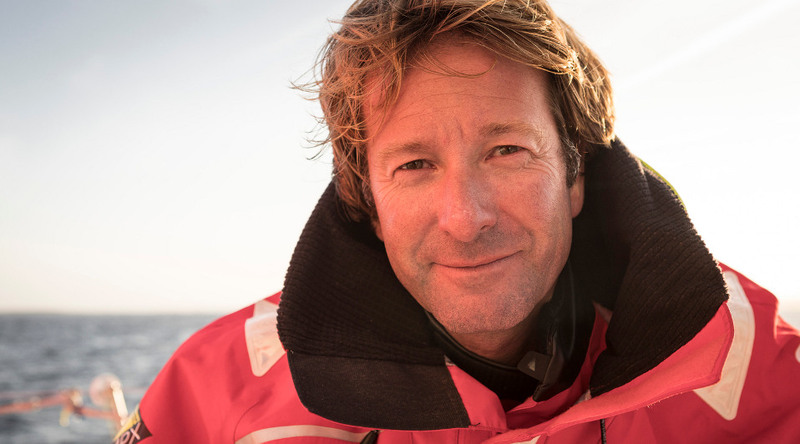 "We're currently going through a low-pressure area and it's a bit of a battle out there, I spent the night on the lookout, ready to react. 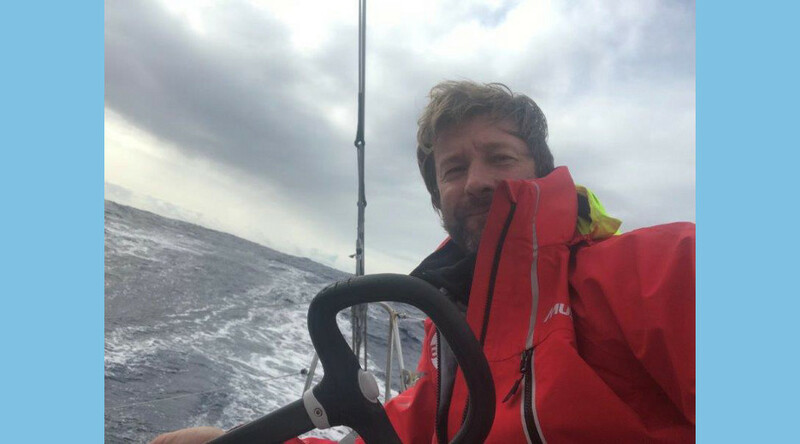 I'm in the thick of it, with a wind speed of 45 knots (that's over 80 km/h) that makes it hard to stand up but the spirits are good, I'm maintaining my position in the ranking (24th). I'm staying serene: I know I'll have to hold on tight during the next 3 days, while taking the time to eat and preserving the boat." "First dinner onboard yesterday: Thai pasta! After an eventful (yet moving) start and a small technical problem which kept me back, I moved up several places in the ranking during the night and the morale is improving, too! We are waiting an update on the weather to know if the storm will let us through. Many thanks to all those who have followed and accompanied me so far: it was a departure packed with emotion." "Less than 3 hours before the start. After months of preparation, I almost find it hard to realize the time has come. We passed the lock yesterday at sunset... 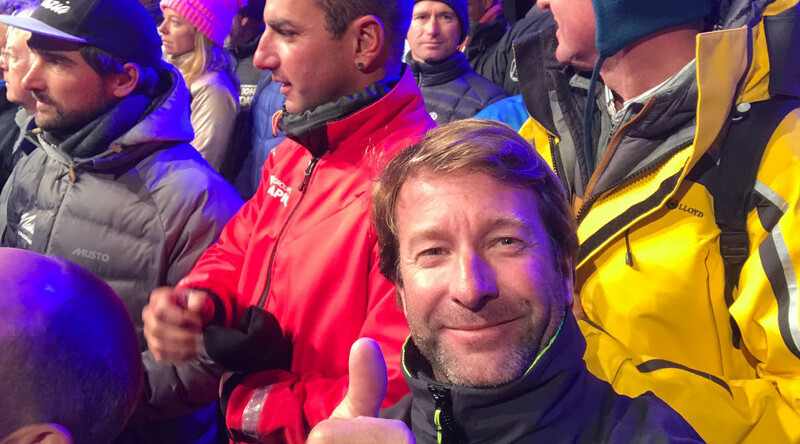 Impossible to forget that 20 years ago, I did exactly the same, as a passenger, with my pal Laurent Bourgnon. During the race, I'll do my best to send you news in this space. You can also track my progression on the interactive map above. Talk to you soon!" "Last day before the departure. 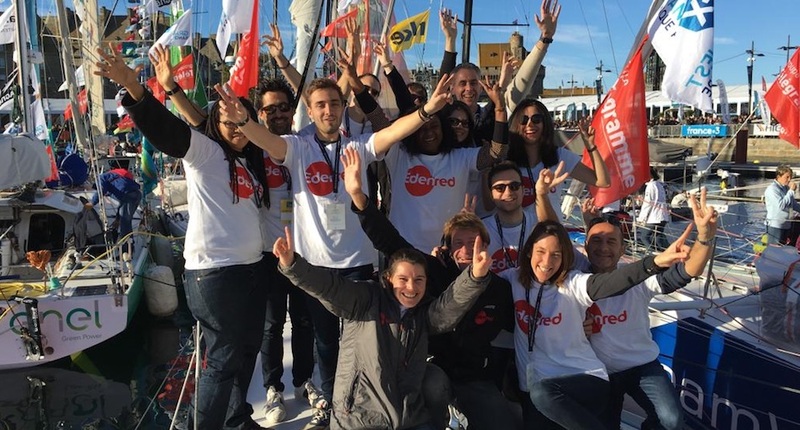 Yesterday, I had the pleasure to welcome a group of employees of my sponsor Edenred, who came to pass on a message of encouragement on behalf of the whole Group; we took time to chat, take a tour of the boat and a few souvenir pictures. 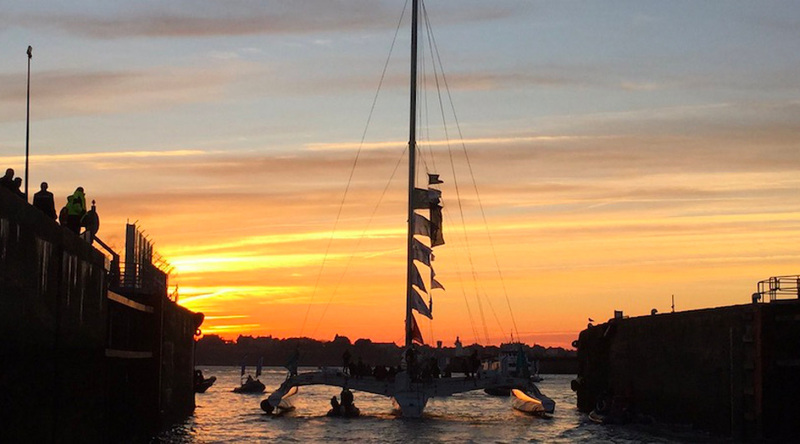 The crowd in Saint-Malo is impressive and excitement is absolutely tremendous!" "Here's a sneak peak at the gear I'm packing for the race. 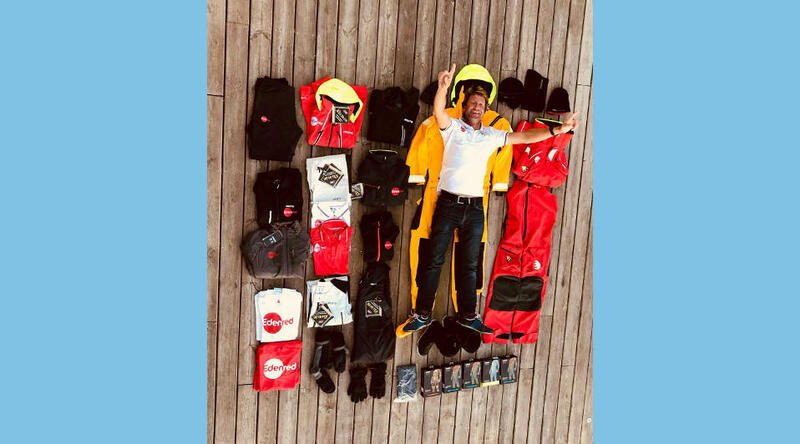 I wouldn't say it's exactly like packing a suitcase, as the Route du Rhum is no walk in the park, but this includes clothing for literally all kinds of weather, displaying of course the name of my sponsor – and boat!" "You don't participate in a world-class event without a bit of media exposure. 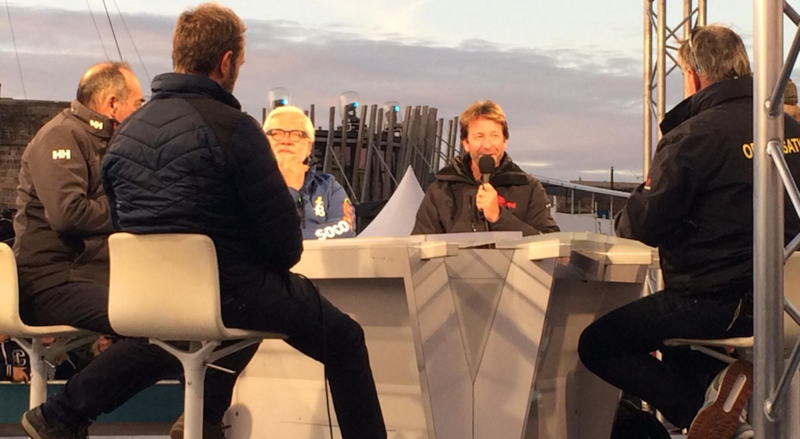 I was a guest yesterday on the set of the Route du Rhum's 'Great show' [La Grande Émission] with fellow skippers Bob Escoffier, Charlie Capelle and Aymeric Chappellier, and legendary Celtic musician Alan Stivell. Great moment. Click to watch our segment in case you missed it (NB: it's in French) and leave a comment just below!" 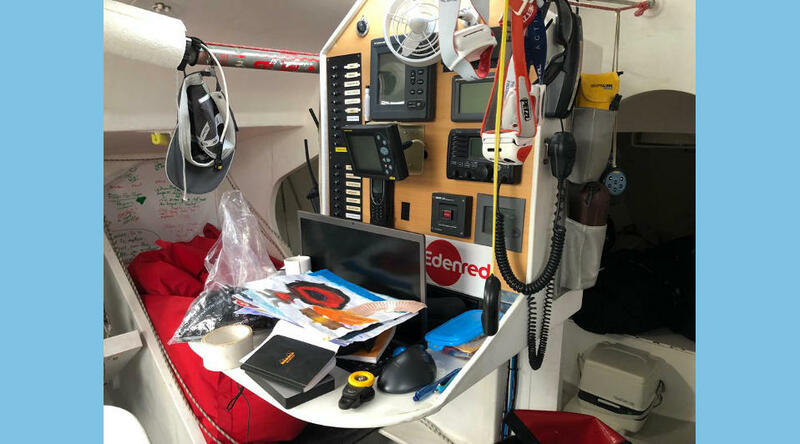 "This one is for those who wonder what the Edenred boat looks like inside! 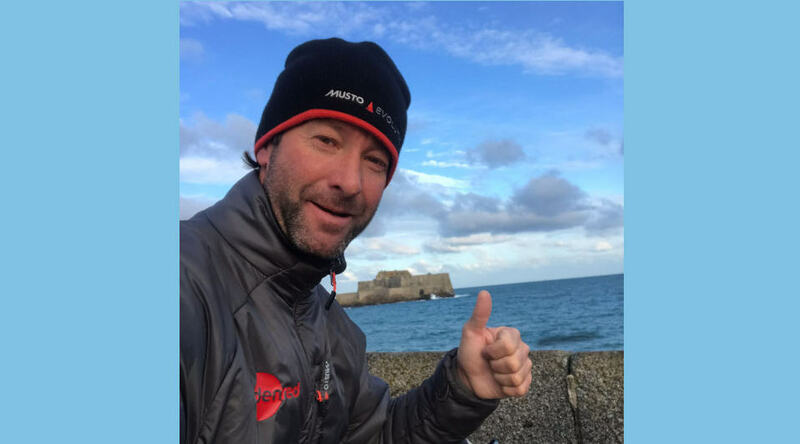 This equipment will be crucial to get all the support and process the data I need during a single-handed race, such as updates on the meteorologic situation, radio contact in case of an emergency, and of course personal items from my loved ones." "Great bike ride in windy Saint-Malo. Even a few days before the start, training is important and during my preparation, I took my bike out several times a week. Cycling clears the mind and boosts metabolism, to say nothing of the beautiful spots we have in Britanny!" "The Saint-Malo crowd is always amazing. Last Saturday evening, all skippers were presented onstage to a numerous audience in the castle courtyard and we received a fantastic ovation. It's incredible to feel so much support when you're about to begin for real the adventure of a lifetime. Less than one week before the departure!" "I've never been closer to the departure. 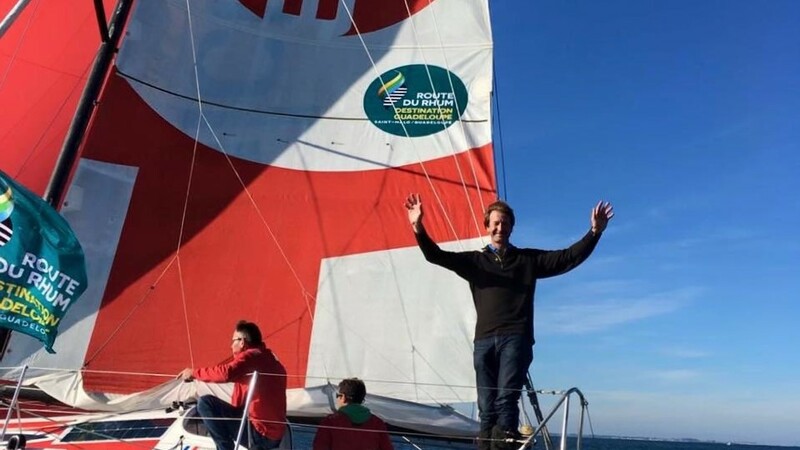 Last week-end, along with my collaborators Julien and Arnaud, I sailed the Edenred Class40 between Trinité-sur-Mer and Saint-Malo (250 nautical miles, that is 460 km along the coast of Brittany). 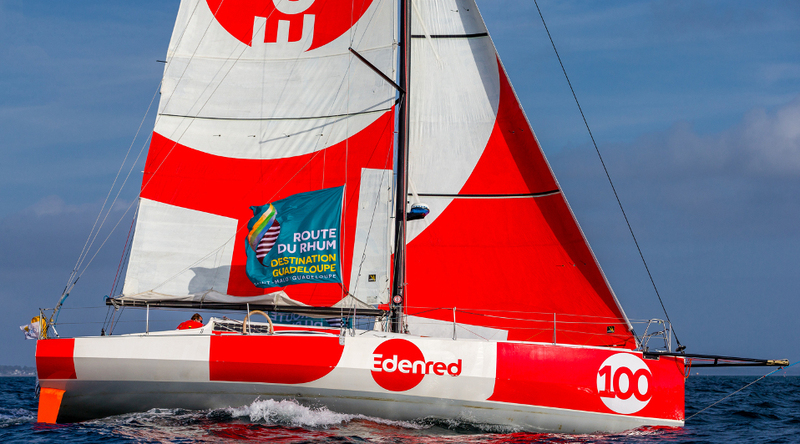 Everything went smoothly and we can't wait to discover the Route du Rhum village!"